Gloucester Rugby made a spirited fightback as they came from behind to complete a 27-14 win over Wasps in their Gallagher Premiership clash at Kingsholm on Saturday. This is Gloucester's fourth win from five games as they have 50 points from 17 games that has seen them positioned third while Wasps' struggle continues as they slip to eighth. Rob Miller kick-started the proceedings with a sixth-minute penalty goal before Marcus Watson dived in the right corner for the opening try in the 16th minute. Miller missed the conversion but kicked his second three-pointer soon after as Wasps raced to a 11 point lead. It took 33 minutes for Gloucester to open their account and it was back to back tries from Will Heinz and Ruan Ackermann in a span of four minutes that provided them with an edge heading into the break. 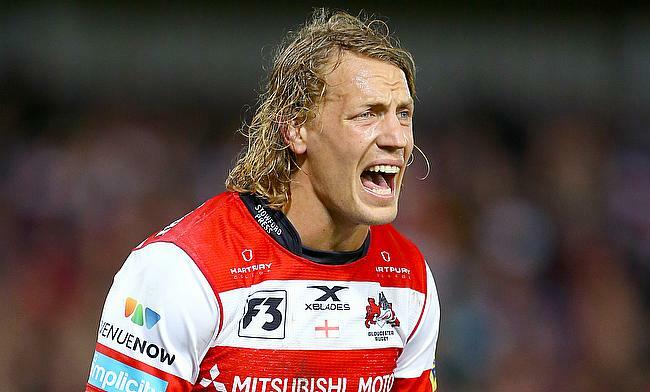 Twelvetrees slotted the conversions on both the occasion as the teams ended the first half with a 14-11 scoreline. The third quarter went neck n neck with Twelvetrees and Miller trading penalties as the scoreline remained 17-14 before the home side seized the final six minutes to seal the game. Twelvetrees with his second penalty kick stretched Gloucester's lead to 20-14 but the decisive moment came when Jake Polledri dotted down in the 79th minute to complete a 27-14 victory.